Saga focuses on those aged 50 or over, providing insurance, holidays, financial services and healthcare. 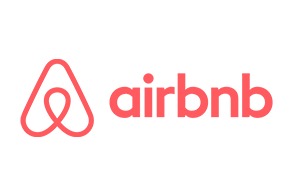 It is a well-established company that boasts an array of accolades and industry awards. Saga aims to offer high-quality home insurance policies, which means its products may cost a little more than some competitors. You can get a personalised home insurance quote on the Saga website. Saga offers a comprehensive range of home insurance products, including building insurance, home contents insurance, landlord insurance and high-value home insurance under the name ‘TailorMade’. Build and home contents cover is available at two levels – essential and premier – but both offer a range of benefits of up to £1,000,000 buildings cover and £75,000 contents cover, new for old replacement of items if repair is not feasible and accidental damage cover for non portable electrical items. In addition to this, premier cover also offers a no claims discount benefit, as well as replacement of matching pairs or sets of items (for example, earrings or three-piece suites). A number of other benefits come as standard with premier cover, and can be added to essential cover as an optional extra. These include full accidental damage cover and personal belongings cover. Saga’s landlord cover offers variable sum-insured amounts, accidental damage cover, legal expenses cover, malicious damage and vandalism, alternative accommodation cover and optional rent guarantee cover, which offers protection in the event that a tenant fails to pay rent. Saga’s high-value home cover, ‘TailorMade’, is a specialist home insurance product for customers needing more than £89,000 contents cover or £1,000,000 buildings cover. The company also offers a range of optional extras, including garden cover and home emergency cover, and personal belongings and legal expenses for any policies which do not include them as standard. Interested? Get an instant saga home insurance quote online. How much does Saga home insurance cost? The cost of a Saga home insurance policy will depend on a variety of factors, including your address, the sum you wish to insure, the level of cover you choose, and whether you opt for any added extras. Saga is a quality brand offering comprehensive insurance products, so its pricing does generally reflect that. However, customers purchasing a policy online will save 20% on their quotes, and those looking for landlord insurance can enjoy a 10% multi-property discount if they insure more than one property. Get a tailored Saga home insurance quote here. What do Saga home insurance reviews from customers say? 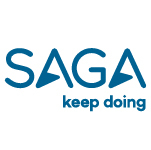 Saga scores 1.3/5 on www.reviewcentre.com, based on 68 customer reviews. While most customers are happy with customer service and cover provision, high renewal costs seem to be the cause for most disgruntlement. On Which? however, Saga’s home insurance has a customer rating of 68%, putting it 7th out of 38 home insurers in terms of customer satisfaction. What do Saga home insurance reviews from the experts say? According to independent experts at Which?, Saga’s buildings cover scores a 72% policy rating and its contents policy scores 64%. Over on Defaqto – the independent reviewer of financial products – all of Saga’s home insurance policies score five out of five stars, making them ‘excellent products with a comprehensive range of features and benefits’.